The Lunch was started by Clive Lewis OBE DL in 2012. The lunch was launched to create a platform for female executives in response to the Davies Review which was first introduced in 2010 to examine the underrepresentation of women on Boards. 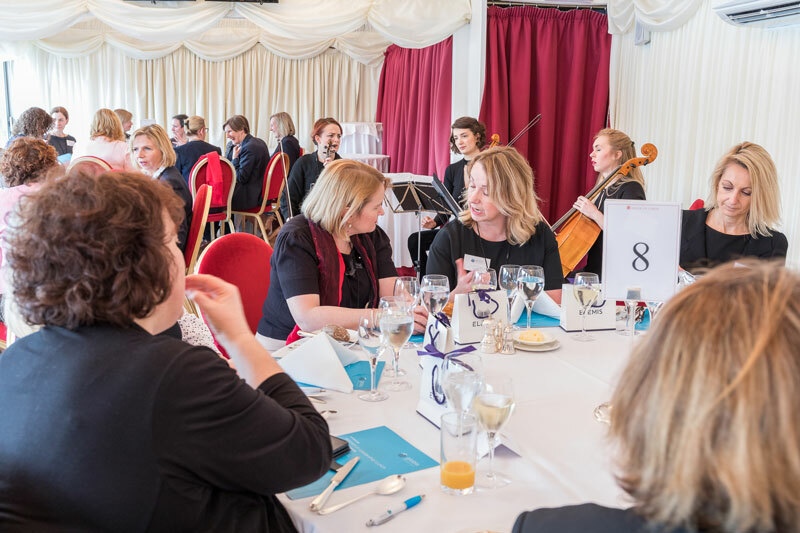 Held annually at the House of Lords, the invitation only event brings together some of the UK’s most influential business women. At the beginning of 2010 it was clear that increasing the number of women on Boards would be no ordinary journey when only 135 women (12.5%) sat in FTSE 100 Company Board positions at that time. However, it is impressive to have seen such a significant culture shift in all organisations over the past 8 years, with more women on Boards (25%) and in senior executive positions than ever before. Whilst the Lord Davies Review has been specifically about FTSE businesses, those attending The Lunch come from all sectors. We very much hope that the Women in Leadership Lunch can contribute to this continuing debate to ensure that the positive momentum is sustained. Through The lunches, we have built a trusted national network of executive women in public and private sector organisations. Attendees of The lunches have overwhelmingly called for an executive development programme for women to fill a gap that exists. The development programme is open to all female leaders from large organisations whether you have previously attended the annual lunch or not.